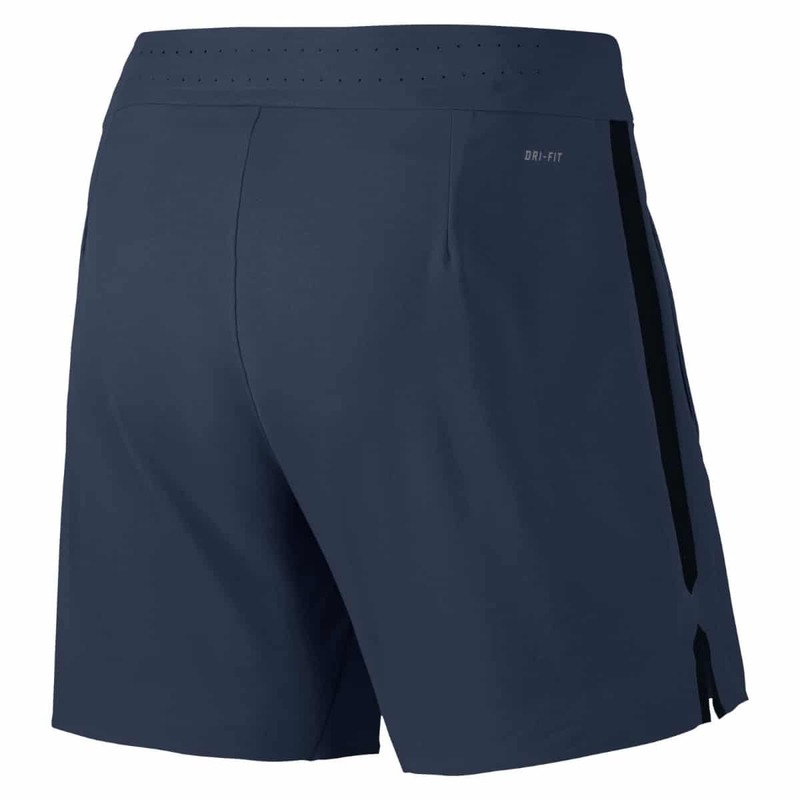 Hey guys, here is Roger Federer's outfit for the Shanghai Rolex Masters 2015 and the Swiss Indoors in Basel 2015. 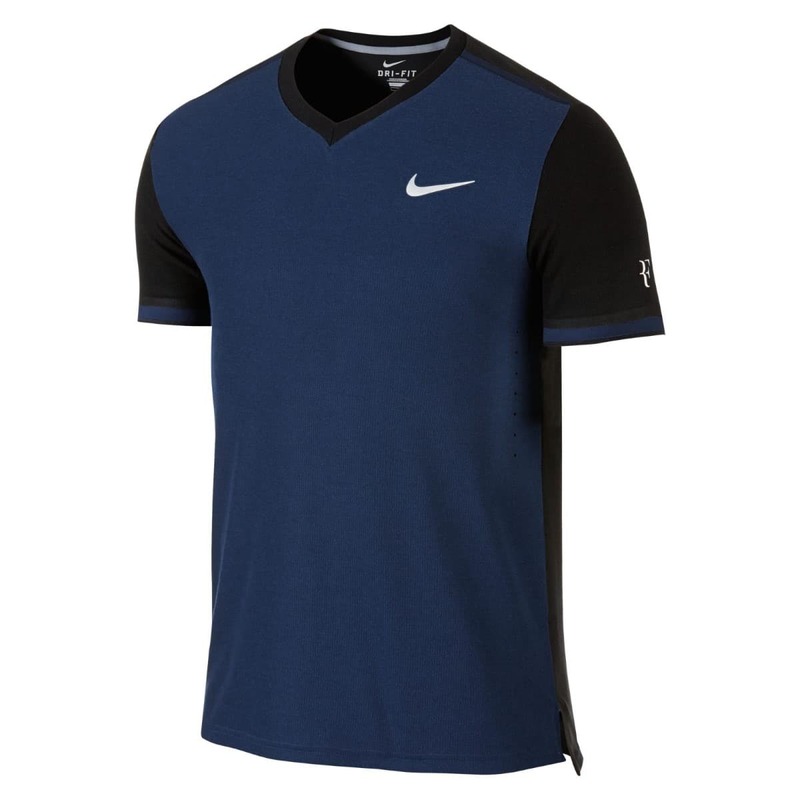 Nike have opted for the V Neck for this one and I think it looks pretty good. There are only a couple of colours in use and it's a simple colourblocked design in white and what Nike call Copa which on the pics looks like a teal / mint colour. What do you think of it? Let me know in the comments. 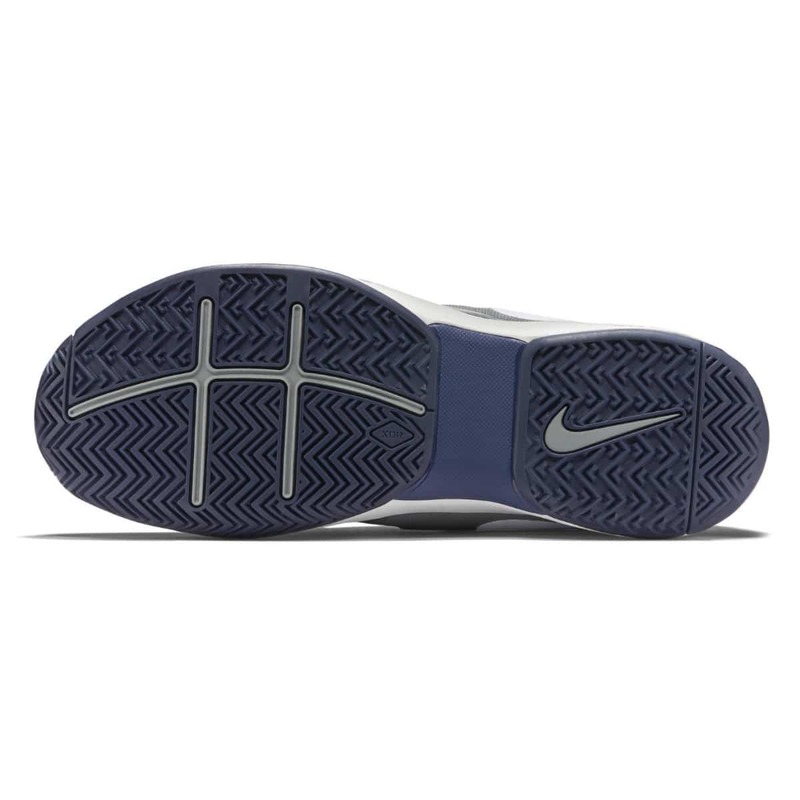 UPDATE: Looks like Fed will wear the Navy variant for Shanghai, Basel and Paris. Maybe even for the WTF and the light blue I originally posted is for Brisbane. New pictures are above. 😉 I think these might look good on him rather than here….White seems more recent trend for him, eh? Yeah I like the colours, look pretty good. Incredible, I like it very much, lets hope Roger can play as good as the outfit looks. The outfit is great and so is our champion. Are the Paris and Shanghai courts fast? The Shanghai courts are relatively fast I believe pranshul, but often humid conditions can slow things down; Paris is much slower IMO. But Jonathan probably knows better. Paris slow. It used to be quick when it was that Gerflor surface, now it’s same as WTF. Shanghai somewhere in between. It looked fast year but Fed said in an interview after Mayer match at USO it was way faster in NYC. I think last year suited him because those Srixon balls were low bouncing. And contrary to what I thought before reading about it – humidity speeds the ball up because the air is less dense. Same here, but when I looked during USO when it was discussed on a previous post. Humid air speeds it up. The post I read, forget the link, says the slowness factor comes in because players sweat more, generally fatigue quicker so to them things feel slower. Shanghai website says Srixon balls in use, but dunno if it’s been updated for ’15. Thanks Jonathan! Well half and half again? We get used to it maybe? 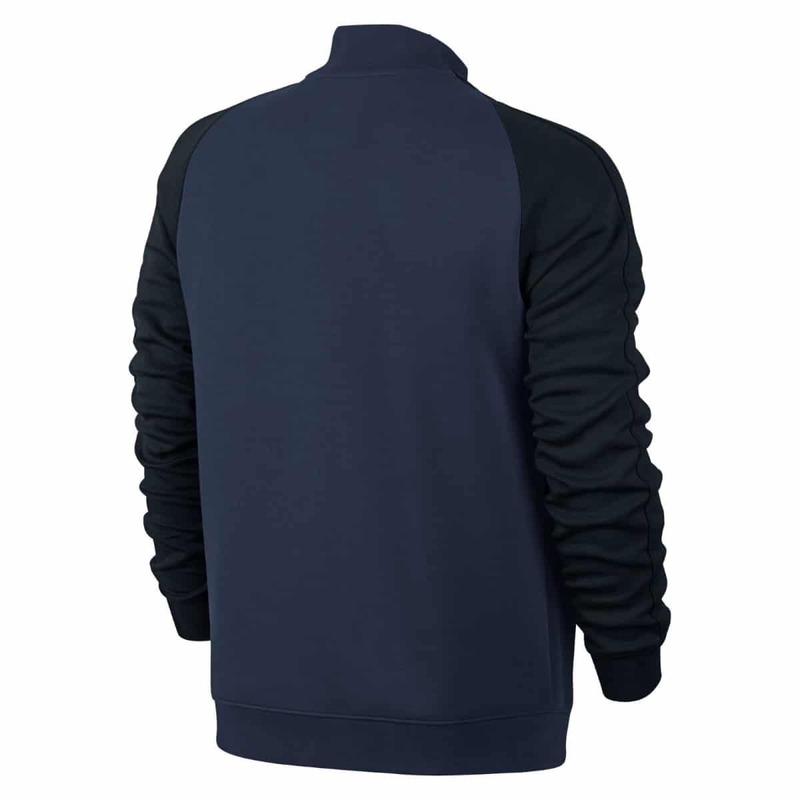 Cool colors – Roger’s warms will look great! Yeah I didn’t like the USO half an half design but I don’t mind this one for some reason. Not vital enough. I loved the pink/purple from Cincy and the red from Shanghai et al. last year. Federer looks good in anything, let’s face it. The only outfit I didn’t like was the one he wore at the end of 2013 at the WTF London..those wavy stripes were just weird. I think the bluish cyan light colours doesn’t look good on Roger. He is more red kind of look. Fire red, darker red, even a bit of purple will look much better on him. Also could be different fabric texture patterns which will reflect the light differently at times. Some of my fave outfits have been the light blue colours. AO 2010 was quality. Agree, I loved that baby blue polo, just like the colour of the sea of Côte d’Azur, especially with the trophy in the end! Thanks for the post, Jonathan. Love the colour, it would lighten up indoors, though prefer the practice T-shirts. No idea where it came from whether it’s total fabrication or just dressed up. Either way I wish I knew who did come up with it. I would hire them tomorrow, coverage like that is priceless. I didn’t like the USO day session one but I like this one. Although I think when I look at the first picture, I assume the back is the same colour which is probably why I think it looks better. Even though it’s virtually the same design as the USO one. Minus the stripes. I really like the colour. Does anyone know if it’ll be his outfit for WTF too? I remember the court in O2 being the same tone of colour, so it might not work there! And why there isn’t any women version of his outfit?? I really like some but I’m not gonna wear a men’s t-shirt! Y U NO READ POST PROPERLY? WTF one is same design but it’s a midnight navy blue. I like the colour, and yes, I, too, feel the practice shirts are less disconcerting than the two-coloured shirts Nike is pushing this year. 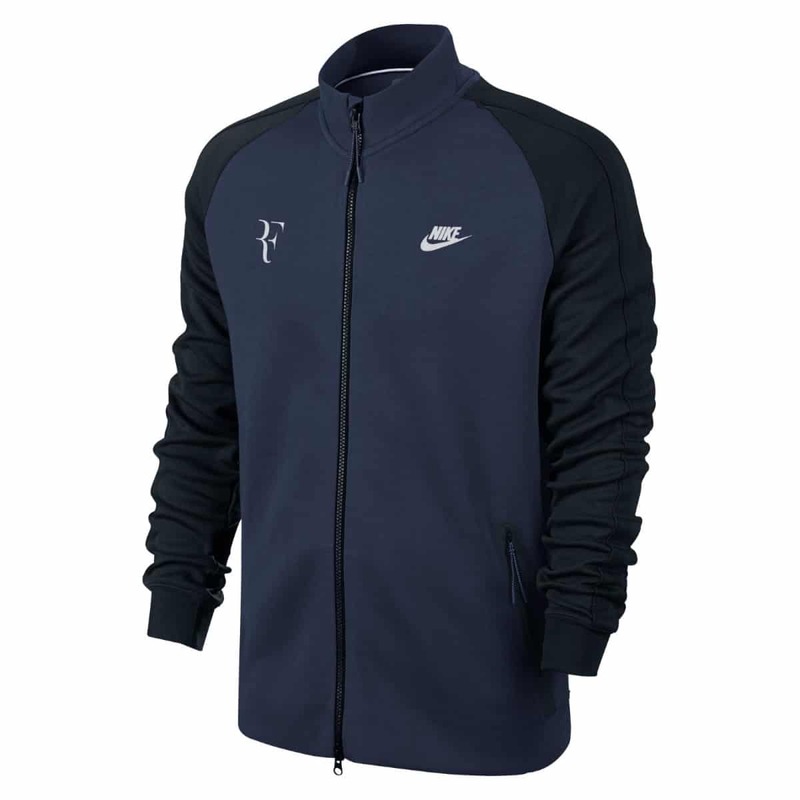 Roger will look cool in this, but my favourite is still Roger in red or black. Is that so? Then yay for blues of all hues. Got my seal of approval! Finally seeing Fed in some blue this season, hope it brings the best out of him tennis wise and we can see him repeat last year’s success. Also what’s the deal with this story going around about some guy waking up from a coma and being a Fedfan, surely it can’t be legit? This story has come out in mainstream Mumbai papers as well…in the Sports pages!!! The editors here lo-o-ve Fed. I am pretty sure it’s made up. It will never come to light though, all be forgotten about in a week or two and it’s not a far reaching enough story to warrant publications writing retractions. Hate to say this but we may as well need Nadal to rise next to stop Djokovics rampage and stop him from reaching 17. I am really scared. Wouldn’t Murray be a safer option for that? I like the colour, but think it’s perhaps a bit pale for him. 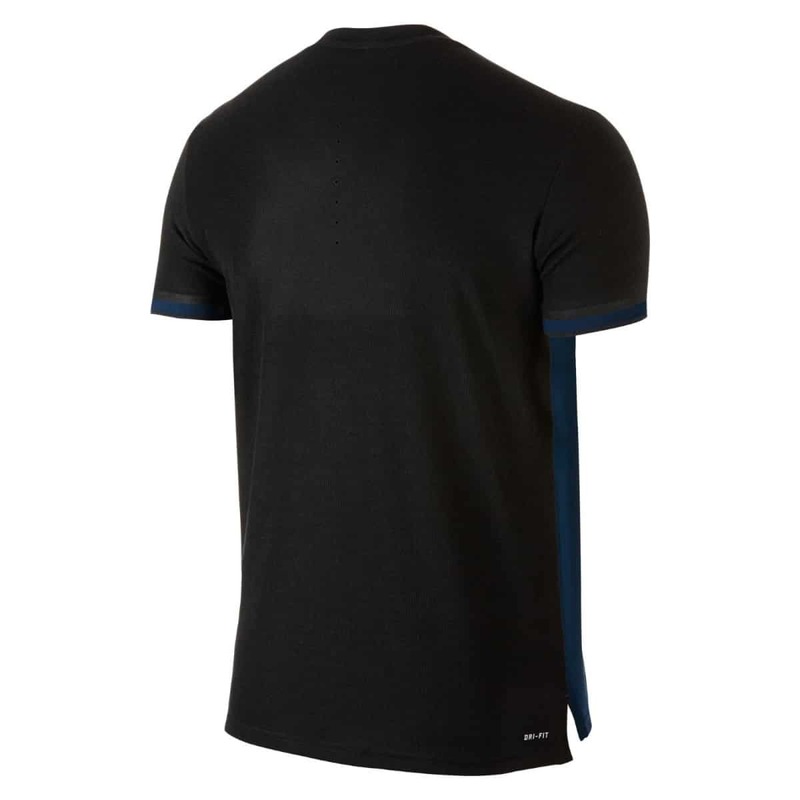 And I’m still not keen on these one-colour-on-front-different-colour-on-back shirts. I like the colours too. Maybe it would be better if the back was a solid blue too like the front. Can’t wait to see in playing! Always looks better on him than we think! Hi Guys, I just got back from a trip to Nova Scotia. Looks like I have some reading to catch up on. Same ol’ shorts again. Baby blue for boys. Although don’t mind the colour…blue is my favourite. Missing him, guys? Here’s the Mr Seba’s latest video. Good news is that we don’t have to wait until next year, Shanghai is around the corner! Thanks Wanda, Needed a fix. 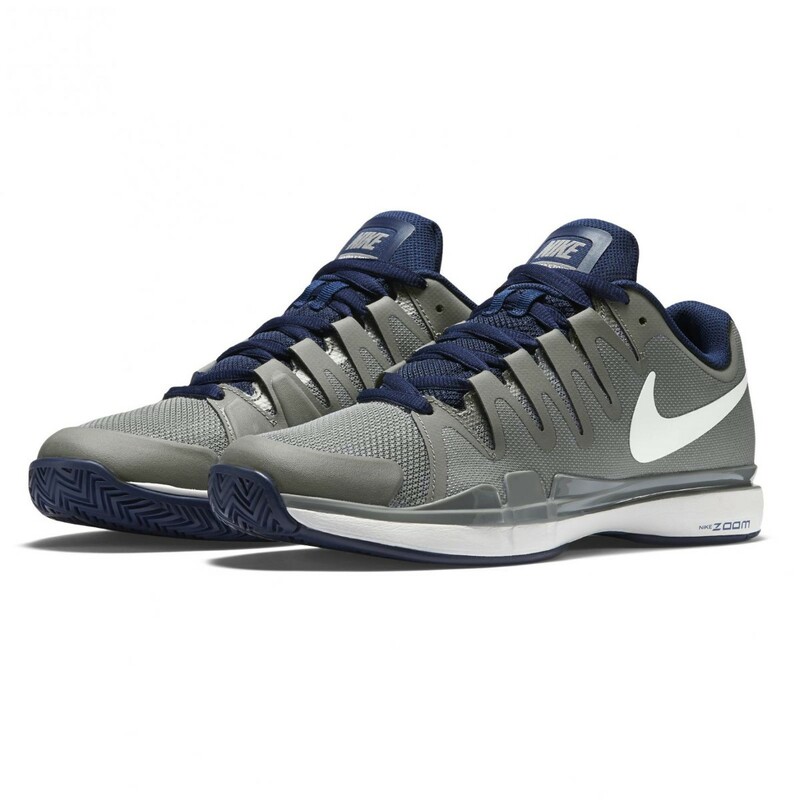 Hi Jonathan, Some exciting tennis news in the air….Roger will be making a quick trip to Finland to help celebrate Nieminen’s retirement from tennis, their last match as two great tennis players. Also, I read that Nadal is building a Tennis Academy in Malorca, a wonderful idea for future of tennis. Wanda, I did like the video, that’s our Roger in action! That’s great Sid: where did this quote come from? Whoever it is, they speak the truth. Not just about Feds/Djoko match, but a general comment on aging athletes which I wholeheartedly agree with. Just goes to prove, should we need it, that Federer is matchless. And I still believe he can do it. 😆 hope I can born again with Sid’s wit. Would Kyrg like us to like him? I’m a little likely to! Really? Federer is a role model, yet Kyrgios conduct himself not even remotely like him? He is a disgrace to the sport, and I’m ashamed Federer is his role model. What an insult to the GOAT. And here is another news for you (if you haven’t learnt already): http://www.thenews.com.pk/Todays-News-10-343398-Serena-withdraws-from-China-Open-and-WTA-Finals? Yeah, he will mature, like Serena Williams is still maturing. Williams withdrawing? Probably going through her doping down cycle break. That poor bloke is a bit lost in his words. Someone should explain to him, calmly ant thoroughly, what role model actually means. And then give him a pacifier. DON’T FORGET TO VOTE!!!! And I ain’t talkin politics. Sue, Thank You for mention….I did vote! Sid, your intelligence is inspiring. Outfit will help him! I believe! looks like I am going first, BH Volley, just because it is difficult to master (even for controlling direction/placement)…. Single Back Hands – whatever whenever and nearly whoever. Seems to me giving more variation and for sure is lovely watching! Backhand overhead volley, as it is the most difficult shot in the game. Roger is one of the few who can place those shots where he wants them. Well, heck, there’s a lot to choose from. I will take the forehand slice. It’s usually a defensive shot, but I’ve seen Roger use that as a winner over the shoulder. And it’s really cool watching the ball gliding and curving in front of the helpess opponent. It’s also because it’s a shot I do naturally, courtesy of many hours playing table tennis at high school. I love Roger’s serve,very easy and reliable to see but not at all easy.Backhand overhead volley as Mark said and his smashes,they are always in and perfectly placed and most importantly his audacious game,mostly going for winners and taking risks. I like his offensive playing style the most . I like the sabr because it pisses off Djokovic and Becker. Since the backhand overhead volley’s been already taken so I would choose the back hand half volley winner by Roger because it’s an instinct, like a God’s play. Only he can produce such shots. Just one question, Roger Federer plays with Wilson Pro Staff RF97 Autograph. Before that who knows, I guess growing up he could have tried lots. Probably started with a wooden one. 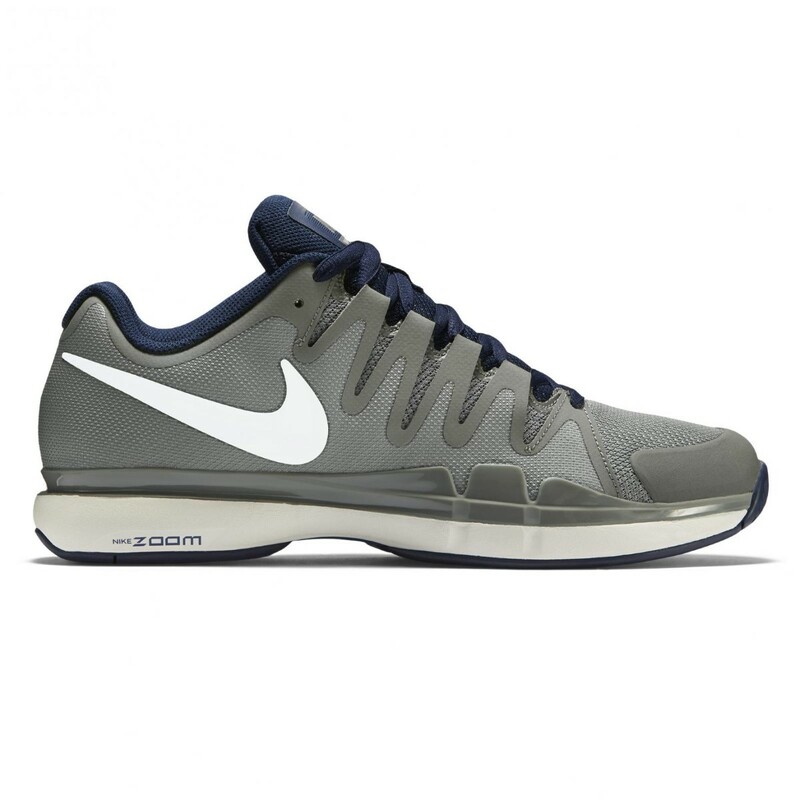 Yeah I saw he was wearing the grey shoes in practice. Looks like the light blue will be for WTF or Brisbane. Last year he wore same all through Shanghai and indoors so it might be the latter. Hey Jonathan! Do you know how the long sleeve shirt that roger wore after the match vs vinolas is called? The one during the press conference. I’m not sure it looks like knitwear version of the NIKE SB EVERETT OVERLAY CREW.